Directed by Louis Leterrier. With Edward Norton, Liv Tyler, Tim Roth, William Hurt. 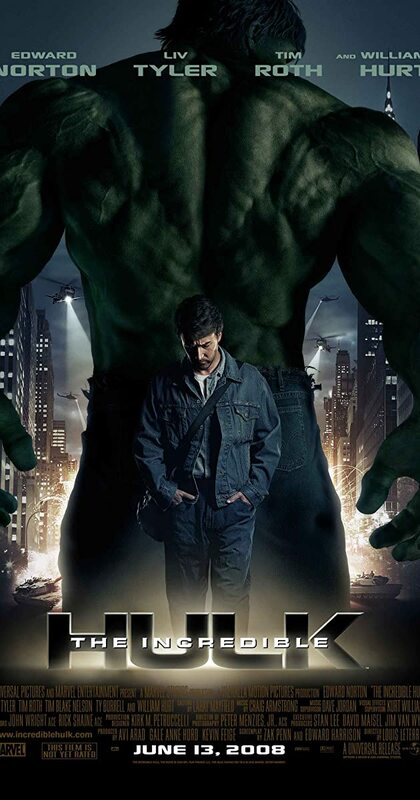 Bruce Banner, a scientist on the run from the U.S. Government, must find a cure for the monster he turns into, whenever he loses his temper.